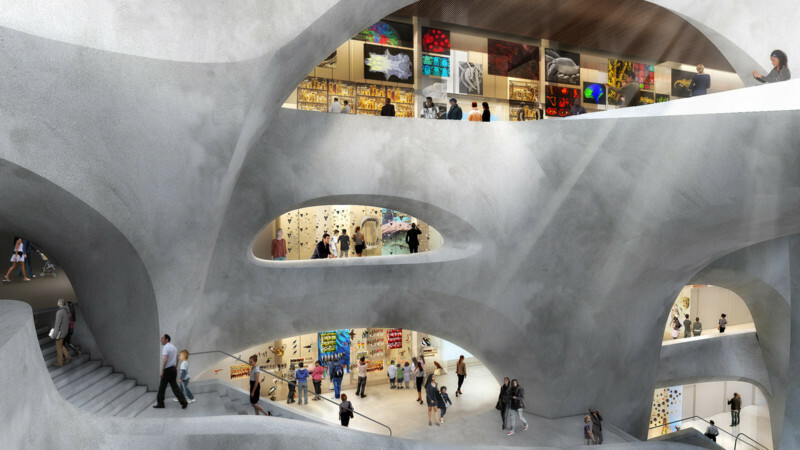 The American Museum of Natural History in New York City has unveiled developing details about the new spaces, programs, and exhibits that will be housed in the proposed Richard Gilder Center for Science, Education, and Innovation. 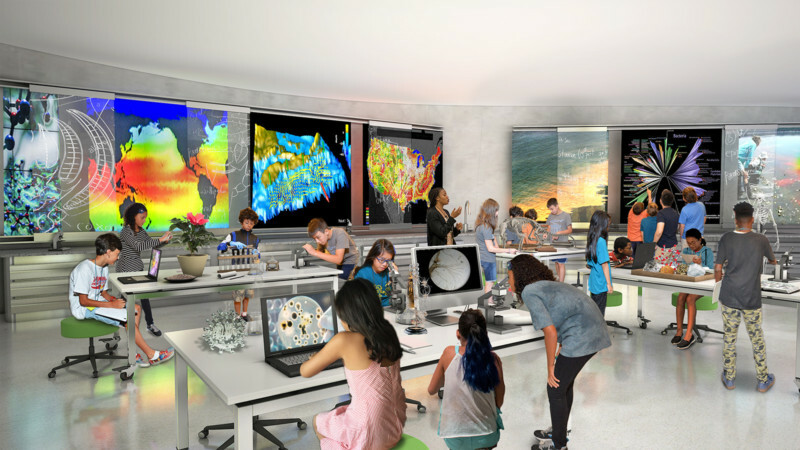 The 235,000-square-foot project, including 194,000 square feet in a new building, will house resources for education, exhibition, and research, and reveal modern science to visitors of all ages. An Insectarium on the first floor will introduce visitors to some of the most abundant and diverse animals in the world through specimens from the Museum’s collections alongside live insects, scientific tools, and digital displays. 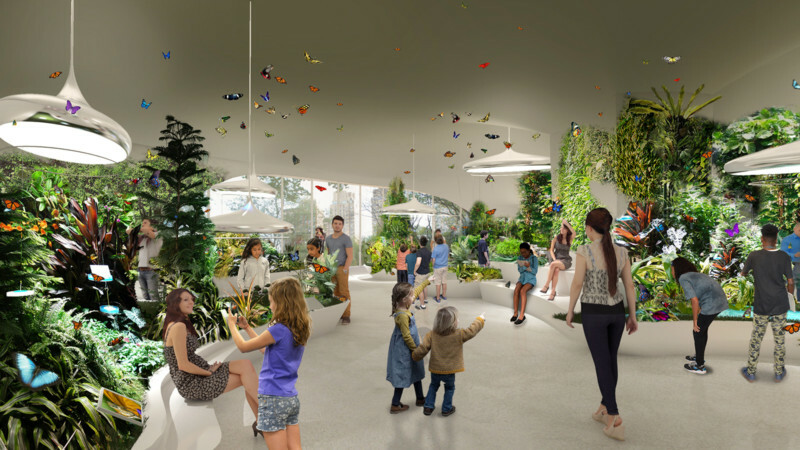 Above the Insectarium, visitors will be able to encounter live butterflies from around the world in the Butterfly Vivarium, one of the Museum’s most popular seasonal exhibits, now a year-round living exhibition. A multi-story, glass-walled Collections Core will house 3.9 million specimens and artifacts from the Museum’s incomparable collections, while the immersive Invisible Worlds Theater will help visitors visualize data and concepts that don’t lend themselves to traditional exhibition—nothing will be too fast, too slow, too small, or too deep in time to be explored in this new space. In addition, the Gilder Center project will include 15 next-generation classrooms for different age groups in dedicated learning zones. 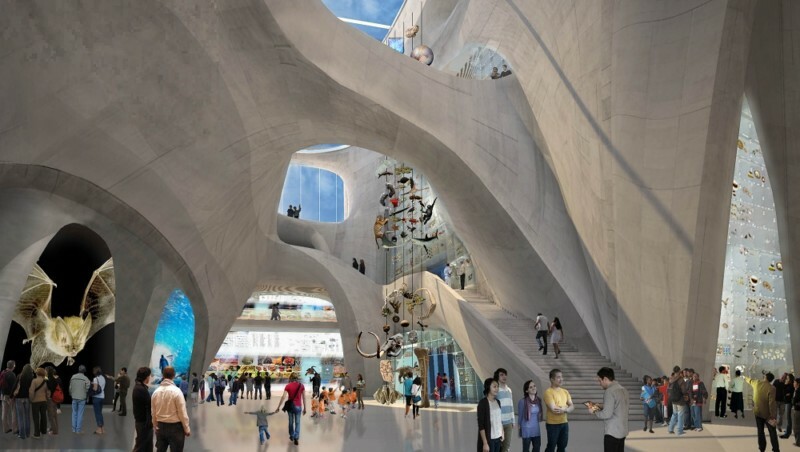 These will include classrooms in a Family Learning Zone, a Middle School Learning Zone that will invite in New York City schools without laboratory facilities to attend “research field trips, “ a High School Learning Zone, and a Teacher Professional Development Zone. 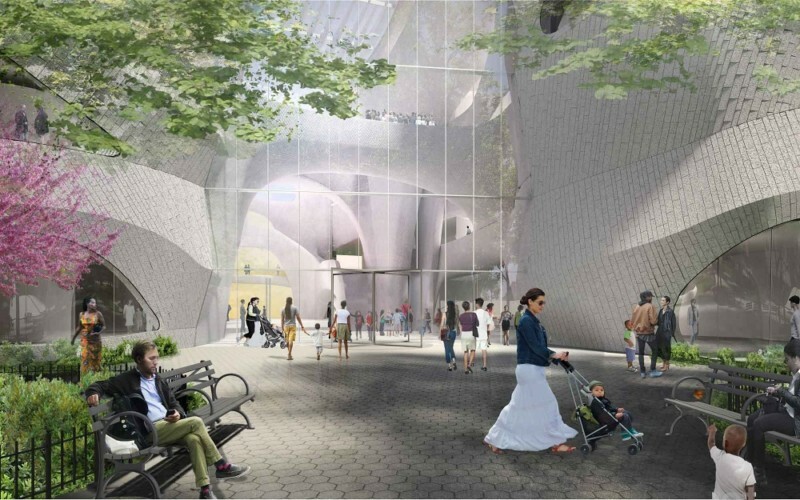 Designed by Studio Gang Architects under the leadership of Jeanne Gang and featuring exhibit design by Ralph Appelbaum Associates, the facility is expected to open in 2020, after the conclusion of the Museum’s 150th anniversary celebration. “By showcasing the frontiers of research in ways that align with how people learn today, the Gilder Center will empower our visitors to directly engage with 21st-century science and with the larger world around them, while offering inspiring new spaces and opportunities for share learning, discovery, and community,” says Museum President Ellen V. Futter.